Two legends of boxing collide at the MGM Grand, as Oscar De La Hoya takes on Manny Pacquiao in one of history’s most anticipated fights. 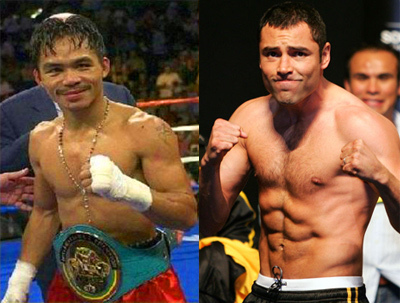 De La Hoya, Los Angeles’ famous “Golden Boy” and six-division world champion, takes on Filipino star Pacquiao, currently Ring magazine’s no. 1 pound-for-pound fighter.